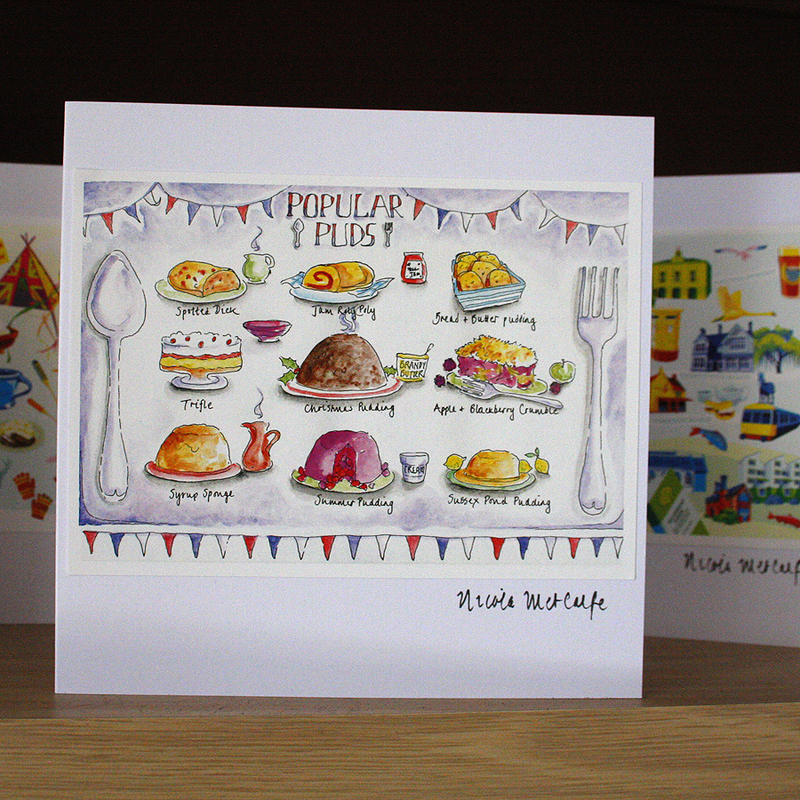 Cards - Nicola Metcalfe offers unique British prints and products, perfect gifts for any age! Limited edition, beautifully printed cards. 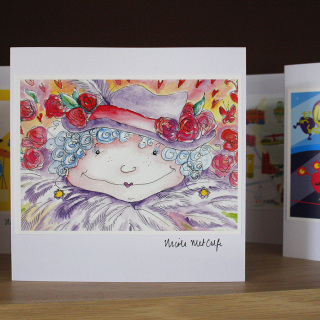 Prices quoted include postage and packing to UK mainland. Please allow 3 – 5 working days for delivery. 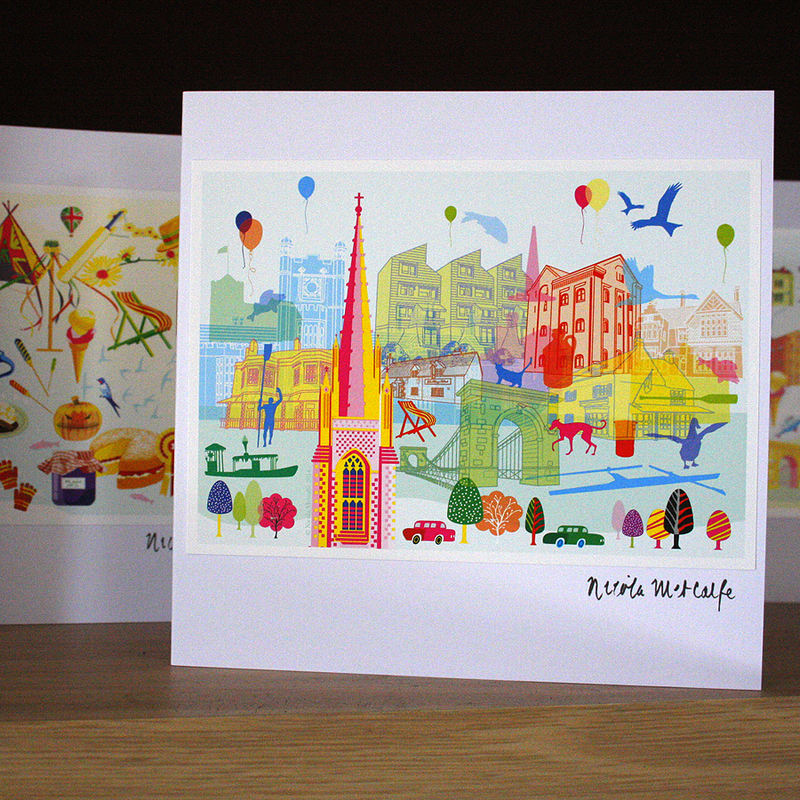 Layered Marlow landscape card. Ideal for any occasion. Dimensions: 154mm x 154mm. Signed and assembled by hand. Based on inter-galactic crooner, Colonel Chris Hadfield! Dimensions: 154mm x 154mm. Signed and assembled by hand. Fun St. Ives map for the discerning Cornwall lover. Dimensions: 154mm x 154mm. Signed and assembled by hand. Supplied with white envelope. ​​Eclectic, fun map of Marlow. Dimensions: 154mm x 154mm. Signed and assembled by hand. Supplied with matching white envelope. 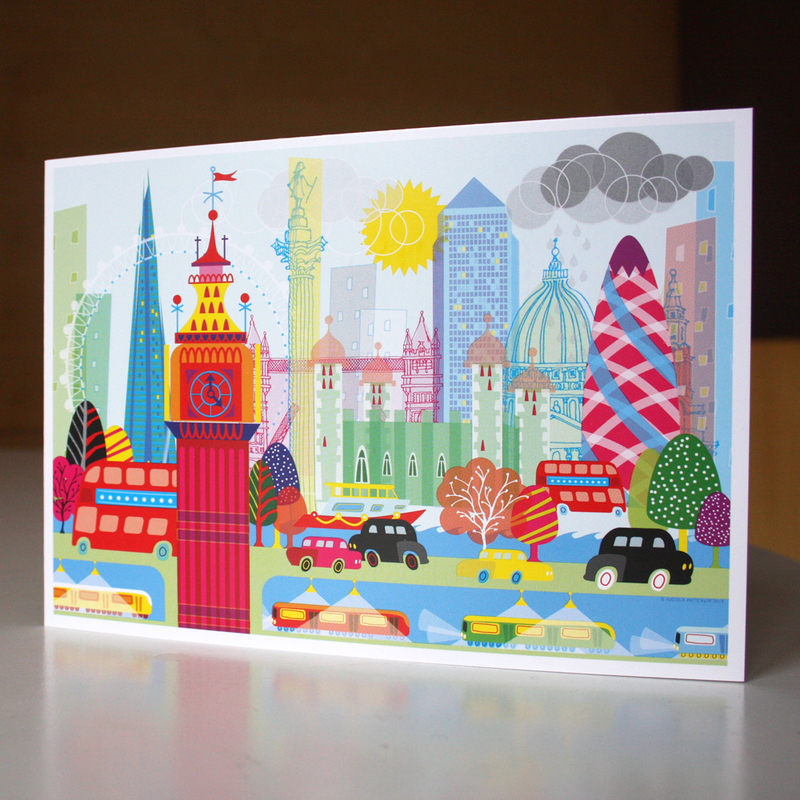 Popular London Skyline notecards. A6 size. Supplied with gorgeous vivid blue envelopes. Handy for any occasion! 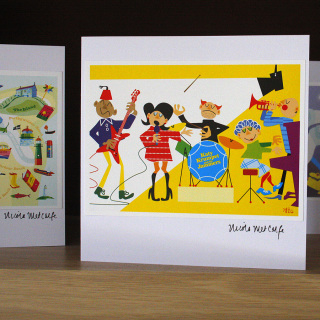 This crazy band would be fantastic for any musicians in your life! Dimensions: 154mm x 154mm. 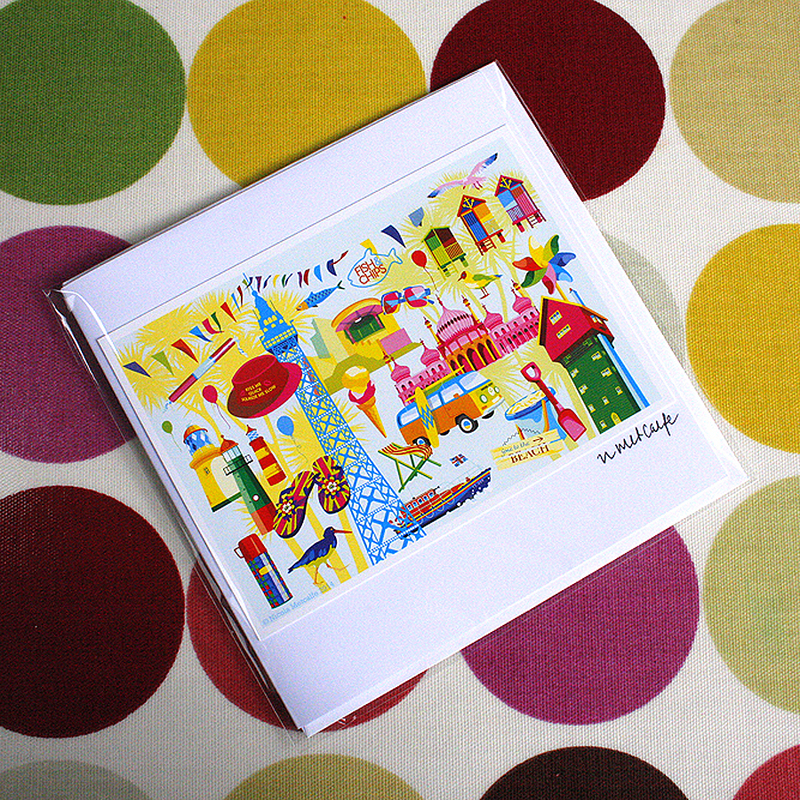 Signed and assembled by hand. 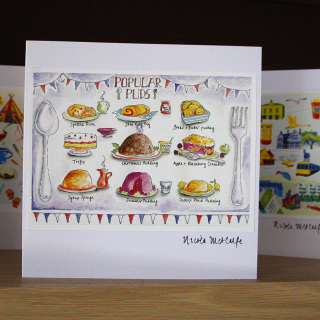 Henley card – SOLD OUT! Many of Henley's sights, some rather unusual! Can you spot the pink hippo? Dimensions: 154mm x 154mm. Signed and assembled by hand. 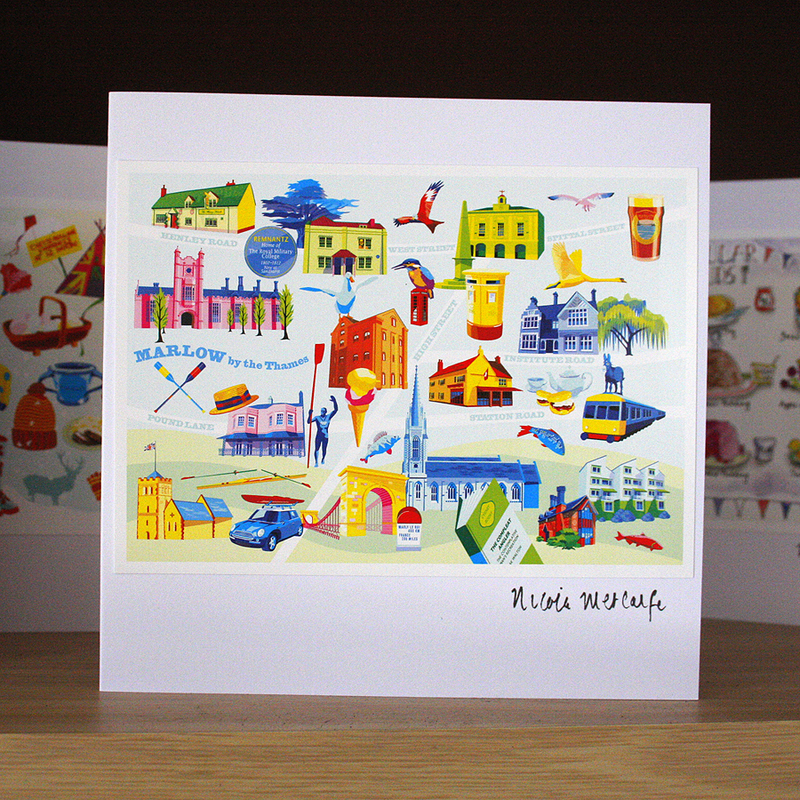 Jolly seaside card, featuring some of our coastal heritage! Dimensions: 154mm x 154mm. Signed and assembled by hand. 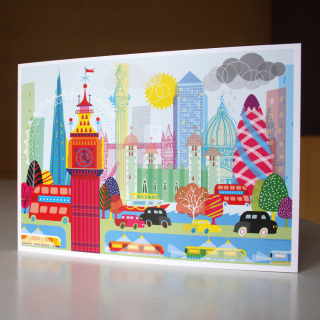 Supplied with matching white envelope. Eccentric lady - adorable! Dimensions: 154mm x 154mm. Signed and assembled by hand. If you can't decide, why not choose a pack of 5 of our most popular Christmas cards? Dimensions: 154mm x 154mm. 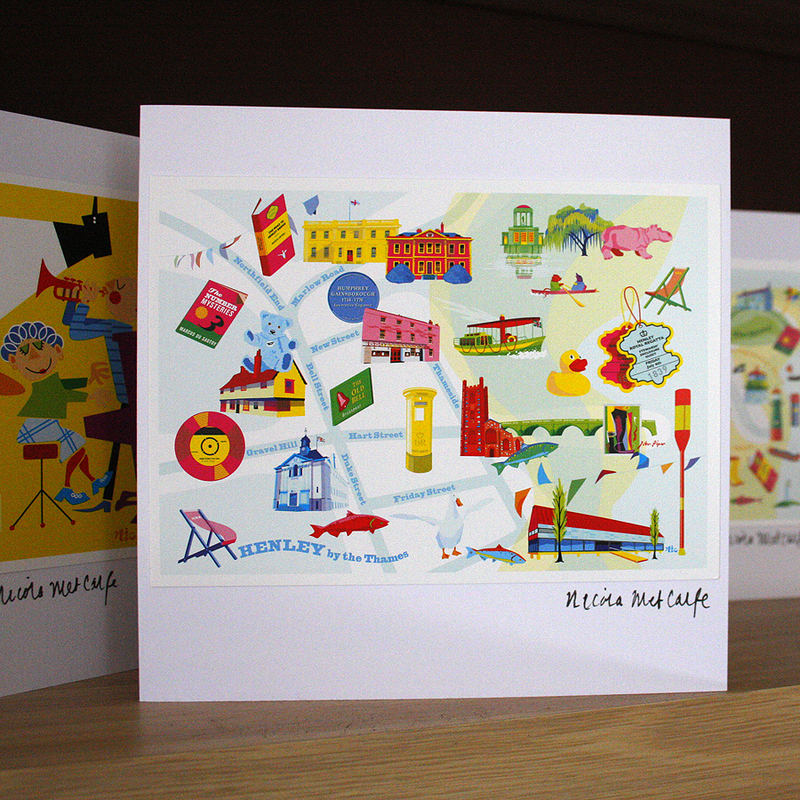 All signed and assembled by hand. Proper Christmas Crackers! Pack of 5. Christmas Crackers! Five hilarious cards depicting a festive exercise class. Dimensions: 154mm x 154mm. 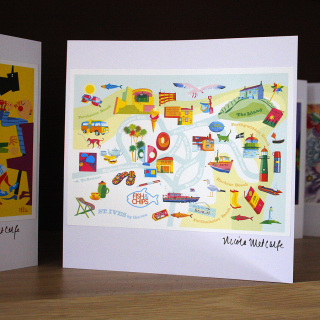 All signed and assembled by hand and supplied with quality white envelopes. Marlow at Christmas. Pack of 5. 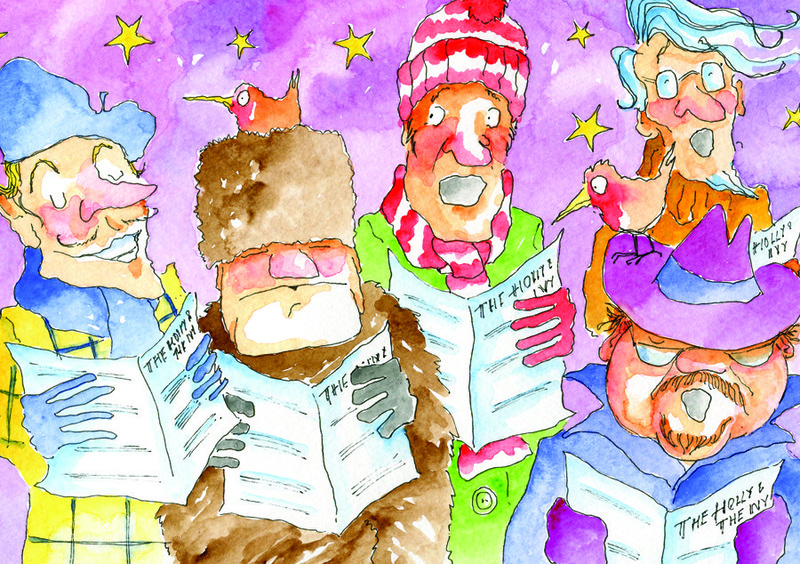 It's ffrrreeeezzzing in Marlow this Christmas! 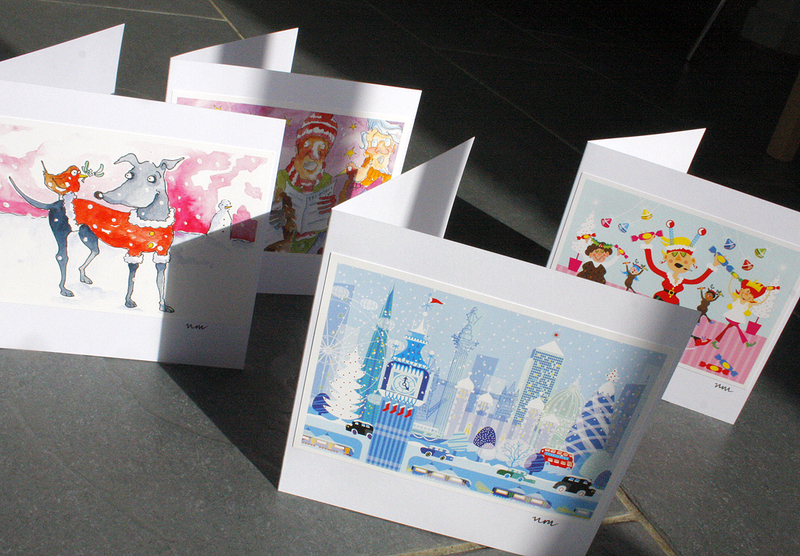 Best stay in and write these cards by a warm fire! Available as a pack of 5. DL sized (210mm x 105mm) and supplied with gorgeous chilly blue envelopes to match! A blistering bunch of baritones! Dimensions: 154mm x 154mm. 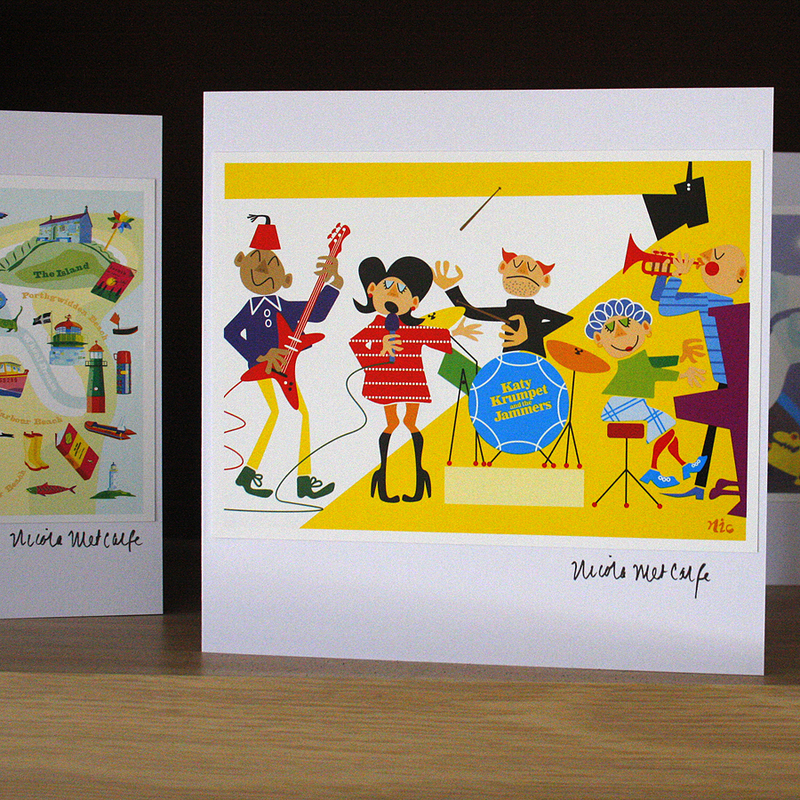 All signed and assembled by hand. 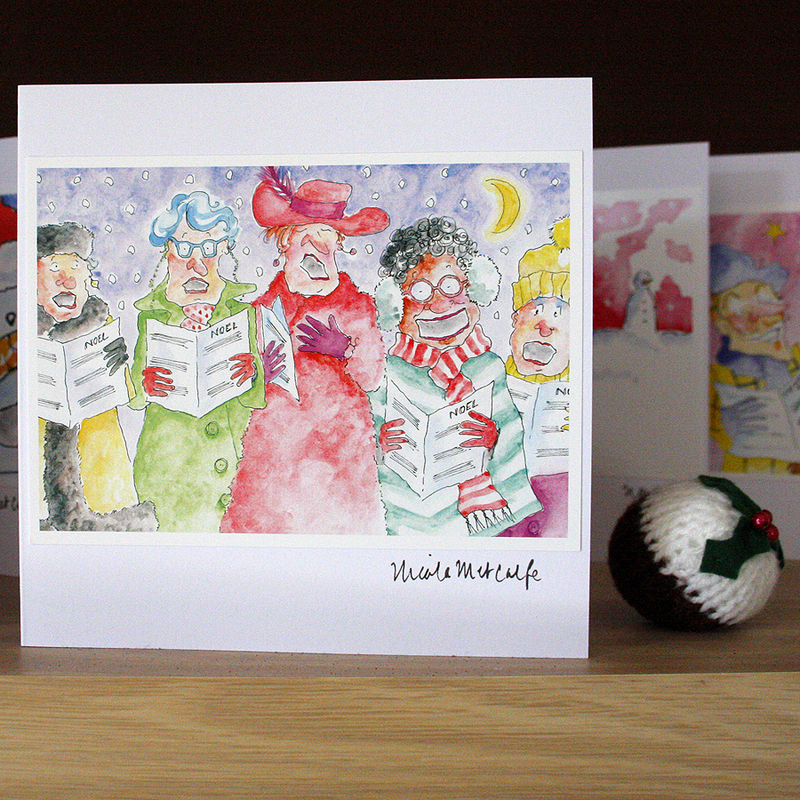 'Go on, give us a kiss...' Pack of 5 Christmas cards. 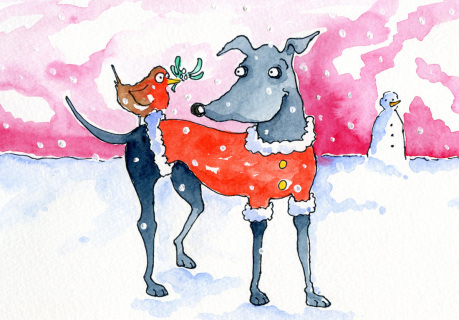 Gorgeous Christmas canine and feathered friend. Dimensions: 154mm x 154mm. 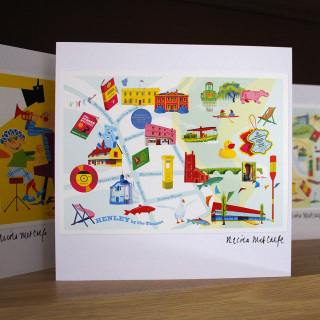 All signed and assembled by hand. Supplied with quality white envelopes. Henley at Christmas. Pack of 5. Bbrrrrr! 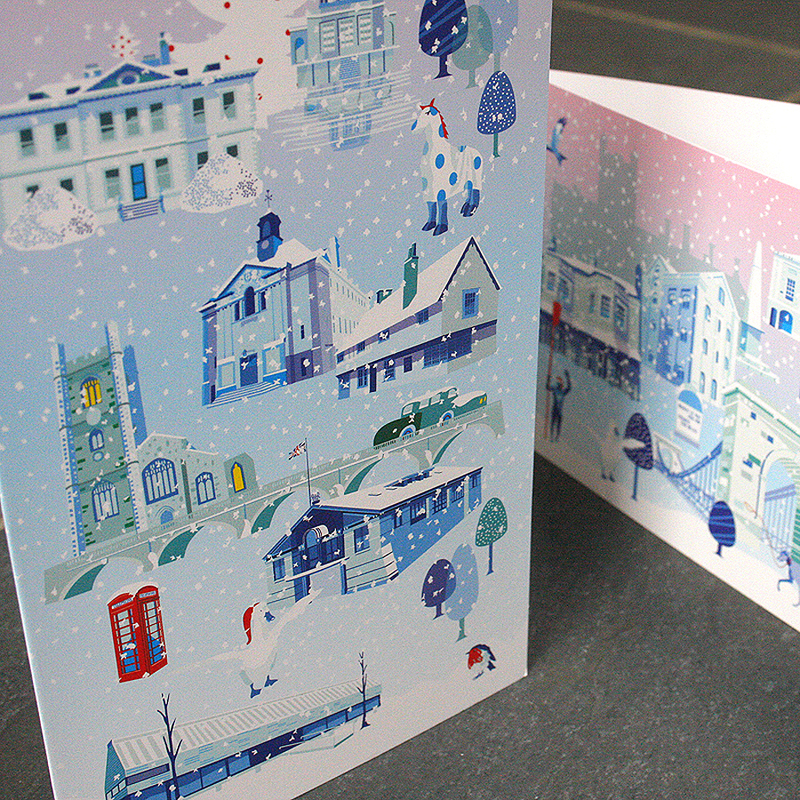 Henley looks decidedly chilly on these DL (210mm x 105mm) Christmas cards. 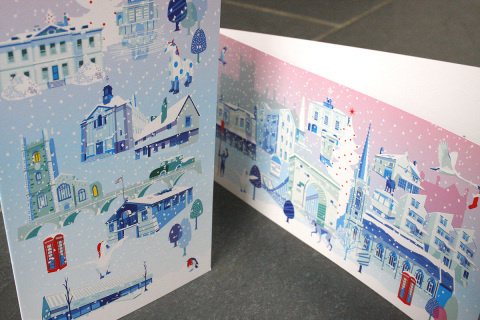 Available as a pack of 5 and supplied with gorgeous chilly blue envelopes. Chilly Chums! 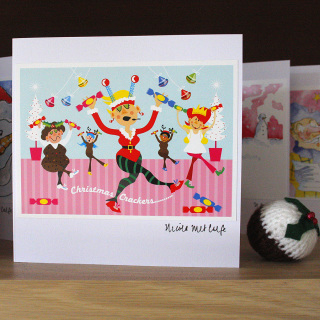 Pack of 5 Christmas cards. 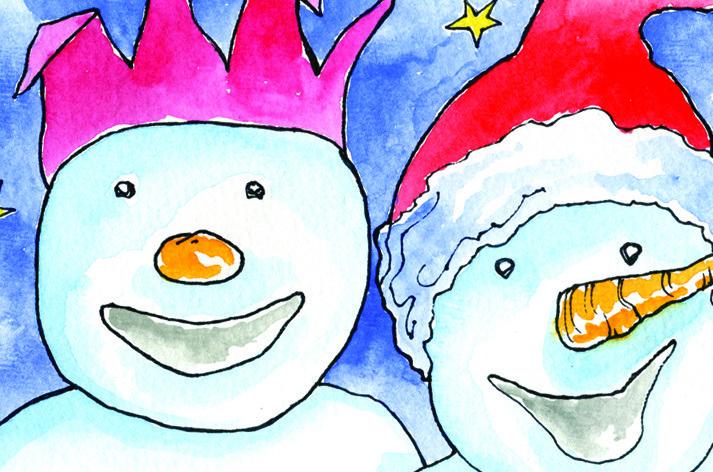 ​There's no friend like a snow friend! Dimensions: 154mm x 154mm. 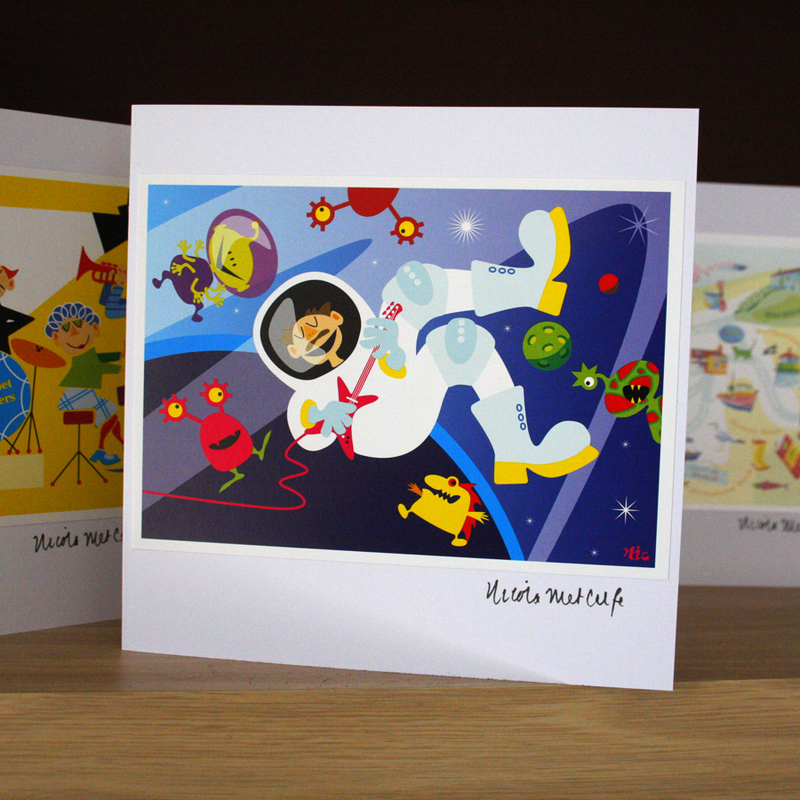 All signed and assembled by hand and supplied with quality white envelopes. 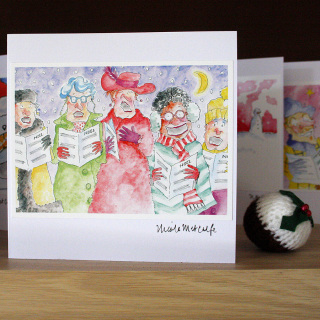 One can only imagine the sound these ladies are making! Dimensions: 154mm x 154mm. All signed and assembled by hand.